ZIMBABWE – Harare City Council has offered ousted town clerk, Dr Tendai Mahachi, a $500 000 exit package but Local Government, Public Works and National Housing Ministry has reduced the amount to $100 000. Sources close to the deliberations said Dr Mahachi, through his representative Mr Chenjerai Daitai of Magwaliba and Kwirira Legal Practitioners, was holding out for a $700 000 golden handshake. They, however, said a team appointed by Harare Mayor Bernard Manyenyeni, led by Councillor Enock Mupamaonde to negotiate a package with Dr Mahachi’s representatives, had offered $500 000, an amount subsequently agreed to by both parties. “The team reported to the mayor that they had settled for $500 000 and the mayor in turn briefed the ministry. The ministry felt the amount was hefty and slashed it to $100 000, a figure which Dr Mahachi’s representatives have rejected,” said the source. Mr Chenjerai Daitai confirmed that they had reached an agreement with the city but that council was dragging its feet on payment. “We reached an agreement with the city on a certain figure which I cannot disclose but the city has not yet implemented our agreement. “We have written two letters which the city did not respond to. We will be filing an application at the High Court challenging the city to fulfil its obligations,” he said. Mayor Manyenyeni was diplomatic saying progress had been slow in negotiations. “We are still discussing his retirement from council. Progress has been slower than we had hoped for. Nothing has been agreed to yet,” he said. Council endorsed a decision by the human resources and general purposes committee in September to terminate Dr Mahachi’s employment contract. Mayor Manyenyeni was authorised to negotiate a package with Dr Mahachi’s lawyers during a special council meeting. Dr Mahachi had made an application at the High Court arguing that Section 139(2) of the Urban Councils’ Act requires that prior to the termination of a contract of employment in respect of a town clerk, the Local Government Board must approve the termination. He, however, withdrew the application in which he wanted an order compelling the city to reinstate him following the negotiations. Prior to making the High Court application, Dr Mahachi had demanded a golden handshake from the city and among his 22 demands he wanted a mansion in Belvedere and two top of the range vehicles. 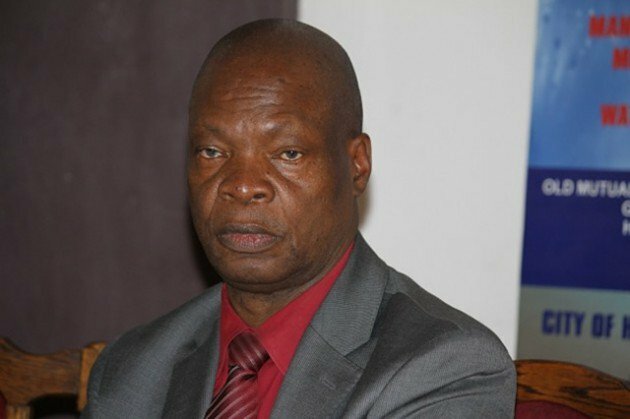 According to a letter written by his lawyers to Manyenyeni, Dr Mahachi, who earned more than $27 000 per month, wanted the city to pay him more than $100 000 for every year he served the city. He joined the city in 2007.